The 034Motorsport Supercharger Heat Exchanger Upgrade Kit for the Audi B8/B8.5 is an excellent stock-location intercooler for the 2010-2017 Audi S4. Testing has proven that this heat exchanger upgrade is capable of significantly reducing intake air temperatures. The increased thermal capacity of this supercharger heat exchanger kit makes this a strongly recommended upgrade for Stage 1 and Stage 2 tunes, and a required upgrade for higher levels of power. Our unique billet aluminum CNC machined end tanks with configurable coolant paths can be set up as single-pass for the B8 S4, or as dual-pass for the B8.5 S4. The oversized core is 130% larger than the stock heat exchanger, increasing frontal area from 148 square inches to 341 square inches, and still fits neatly behind the stock crash bar. Custom molded multilayer silicone hoses are provided for a precise fit with excellent durability. The silicone hoses pass through provided air duct sealing panels that fill the voids left by the stock heat exchanger and prevent air spill around the radiator core. Both end tanks have bleeder plugs to ensure that all air can be easily removed from the system without requiring special tools. The 034Motorsport Supercharger Heat Exchanger Upgrade Kit is a comprehensive package and an obvious choice to reduce and stabilize intake air temperatures for additional power production at every level of engine modification, from stock to highly modified! Core Size Increased From 148 sq. in. to 341 sq. in. 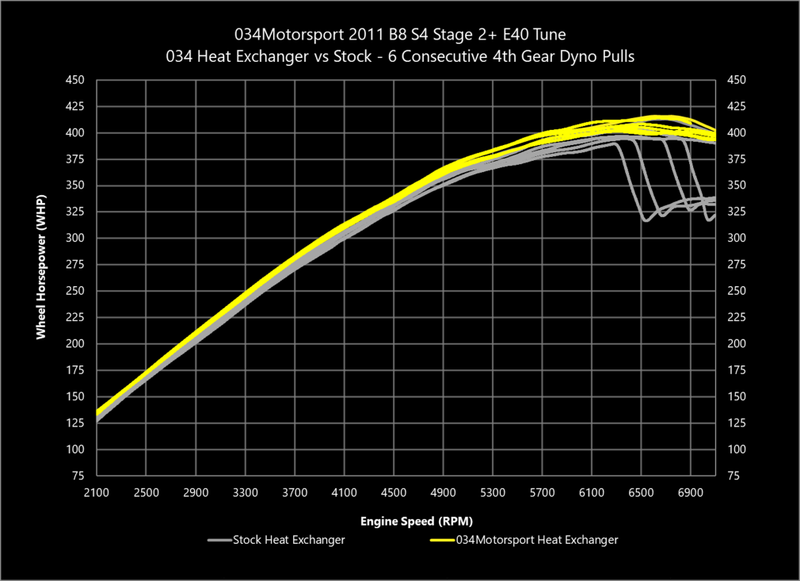 The graph below shows the improved thermal capacity of the 034Motorsport Supercharger Heat Exchanger. The top of the graph shows how much cooler the intake air temperature is compared to stock. The bottom of the grapsh shows how much cooler the outlet temperature of the coolant is exiting the heat exchanger. Ambient air temperature was 18C for stock, and 17C for the 034 upgrade kit. 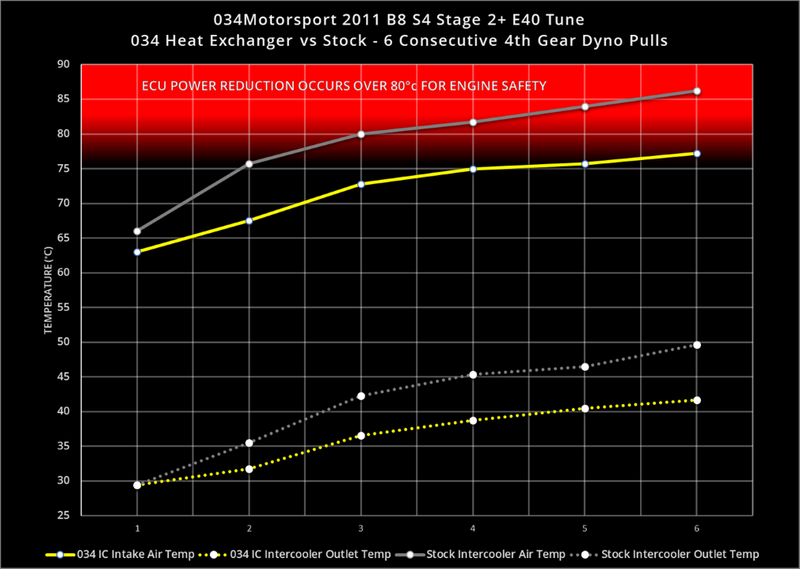 The dyno graph below shows the power output of the 3.0TFSI supercharged engine with the stock heat exchanger vs. the 034Motorsport Supercharger Heat Exchanger. The ECU reduces power when the intake air temperature exceeds 80C. 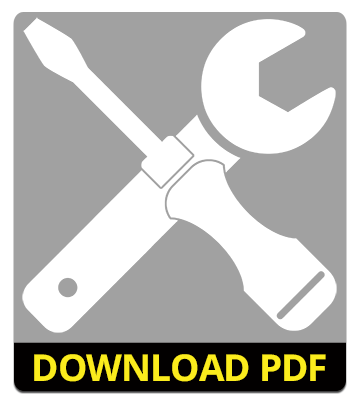 Over successive pulls, the stock heat exchanger is unable to cool the intake charge below 80C after the first couple of pulls, and the ECU intervenes at lower and lower engine RPM as the system becomes heat saturated. The 034Motorsport heat exchanger is able to cool the intake charge below 80C for all 6 consecutive dyno pulls without the ECU intervening to protect the engine, giving consistent power delivery through to redline. 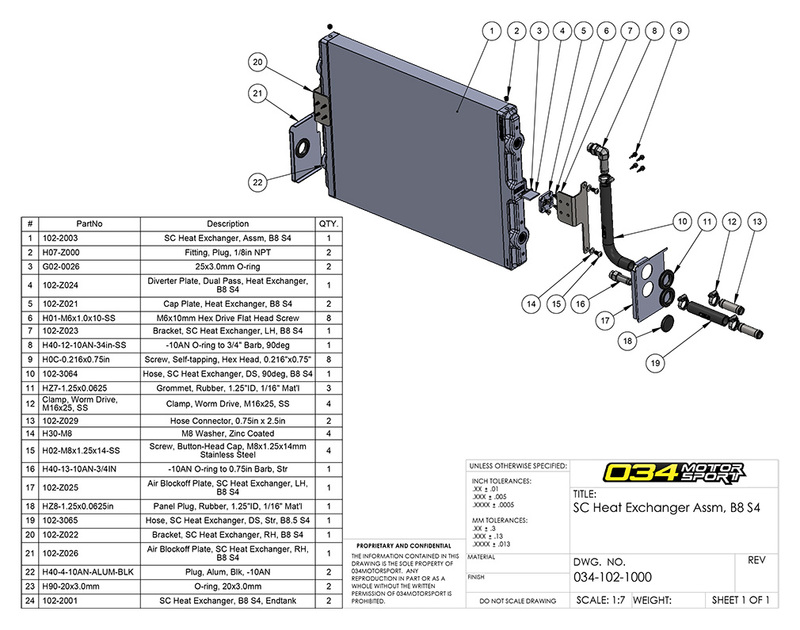 The Bill of Materials (BOM) shows all of the components that make up the kit. Please Note: Vehicles equipped with a factory dynamic steering cooler must relocate this loop cooler. We recommend purchasing our Compact Fluid Cooler to move this steering cooling system. The stock factory dynamic steering cooler is visible through the top of the grill.